Golf Enthusiasts are in for a Treat at Cobblestone Park! Golf is a sport many active adults enjoy immensely. Peaceful surroundings, beautiful scenery and lush greenery along with just the right obstacles to keep them sharp, makes golf a very popular sport among 55+ active seniors. Therefore, it is no wonder that Cobblestone Park in Blythewood, South Carolina is so popular. This new home, active adult community is a unique neighborhood with beautifully appointed two-story homes with 3 – 5 bedrooms, 2.5 – 4.5 baths, and 2 – 3 car garages. Prices of these beautiful homes range from $199,000 to $500,000. Most of the homes feature lovely breakfast nooks and large kitchens, open family rooms and dining rooms, covered porches, laundry rooms, study etc. These homes have high ceilings, plenty of windows and offer more than you ever expected in a home. Cobblestone Park is an all-inclusive retirement community unlike any other. You will not get all these facilities in any 55 and over community nearby. First, let’s talk about golf. This is a 27-hole golf course voted as one of the best golf courses in the Midlands. The Cobblestone Park Golf Club offers you breath-taking views, rolling hills, beautiful oak and pine trees, and the best golf experience you will ever have. Get your golf clubs and get ready to have the time of your life! A fun gathering center offers you all up-to-date facilities with a new fitness center, six tennis courts, sparkling, resort-style pool and basketball and volley ball courts. Here, you can take pleasure in an active retirement by enjoying your friends and neighbors and keeping fit and healthy. Cobblestone Park is a D R Horton development. This is a builder who has had over three decades of building experience. D R Horton is well-known for building affordable, efficient, high-quality new homes that makes your dreams a reality. With this builder, you are assured of innovative designs, superior craftsmanship, and customer satisfaction. Are you looking for 55+ communities, in South Carolina, with the added advantage of golf and other first-class amenities? If so, Cobblestone Park is the right one for you. Visit this community and be pleasantly surprised. 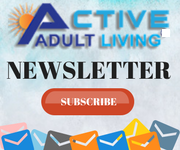 More information on 55 and older communities can be obtained by visiting ActiveAdultLiving.com®. This website offers you information on more than 6,100 communities all across the US, Canada and Mexico, so that you have multiple choices for retirement living.